Prof Goodhill originally trained in Mathematics, Physics, Artificial Intelligence and Cognitive Science in the UK, and then spent 10 years in the USA as Professor at Georgetown University in Washington DC, where he was awarded tenure 2 years early. He moved to the University of Queensland in 2005. He has published over 100 peer-reviewed papers including in Nature Neuroscience, 4 in Neuron, 3 in PNAS and 8 in Trends in Neurosciences. In 2014 he received the Paxinos-Watson prize from the Australasian Neuroscience Society for a paper in Neuron. Since moving to Australia he has been awarded 11 ARC Discovery and NHMRC Project grants and a Simons Foundation grant as Chief Investigator A, and numerous other national and international grants as a co-CI. He has trained over 30 PhD students and postdocs, many of whom are now faculty members in universities worldwide, or work as scientists in tech companies such as Google Deepmind. 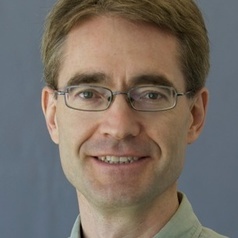 From 2005-2010 he was Editor-in-Chief of the journal Network: Computation in Neural Systems, and he is currently on the Editorial Boards of Neural Computation, Brain Informatics and Scientific Reports. He has reviewed manuscripts for over 60 different journals and grants for 15 different research agencies worldwide. In 2006 he founded the Australian Workshop on Computational Neuroscience which now runs annually, and in 2015 he founded the Systems and Computational Neuroscience DownUnder (SCiNDU) conference which now runs biennually. During his career he has taught courses in Medical Neuroscience, Developmental Neuroscience, Mathematical Neuroscience and Scientific Computing. Besides giving many radio interviews and public lectures about his work he has also written several articles for The Conversation and given a TEDx talk.